This flooring is used for tents or events requiring flooring on a level surface. 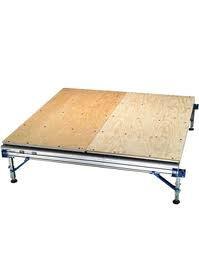 It will create a bare plywood surface. It can be covered with carpeting for an additional charge. * Please call us with any questions about our strata laydown flooring sqft rentals in Lenexa KS, Kansas City MO, Shawnee KS, Grandview MO.